Choose a value and we will send an electronic gift card to the recipient which they can use online or at any of our stores across the UK. Some people can be particularly tricky to buy for, and even though we're sure we've got something they'd love, you might not have time to find them the perfect gift! We totally understand that and have the solution in the form of a digital gift card. 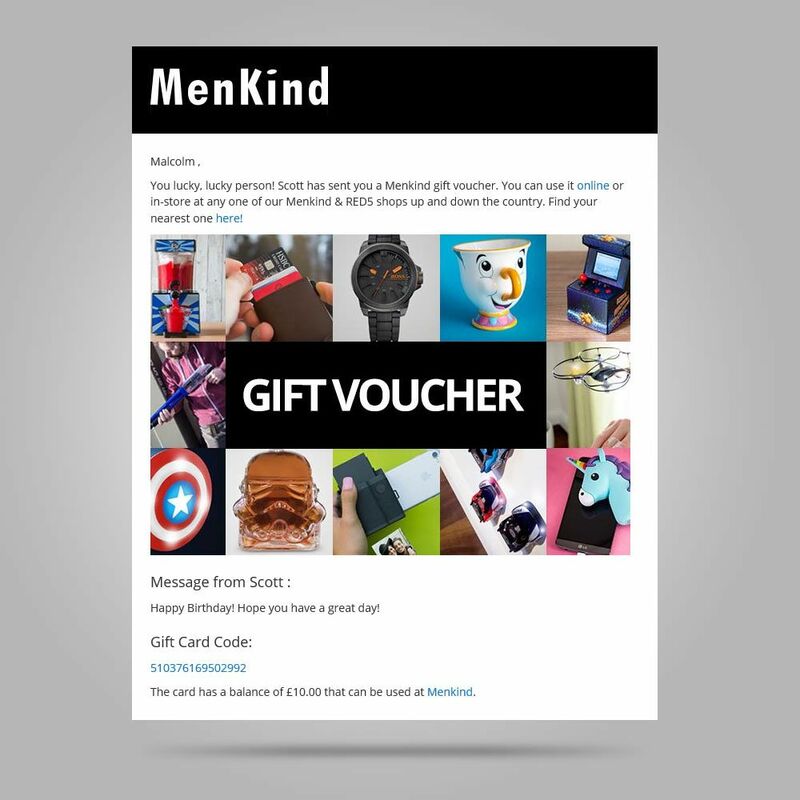 Simply fill in the form above and a Digital Gift Card will be instantly sent to the recipients inbox. Now they can spend time looking through our website or browsing the shelves in our stores (yes you can redeem in one of our Menkind or RED5 stores!) and pick out something for themselves. You can even personalise it with your own individual message and wish them a Happy Birthday, congratulate them on an anniversary or even just tell them they're awesome and to have a treat on you!